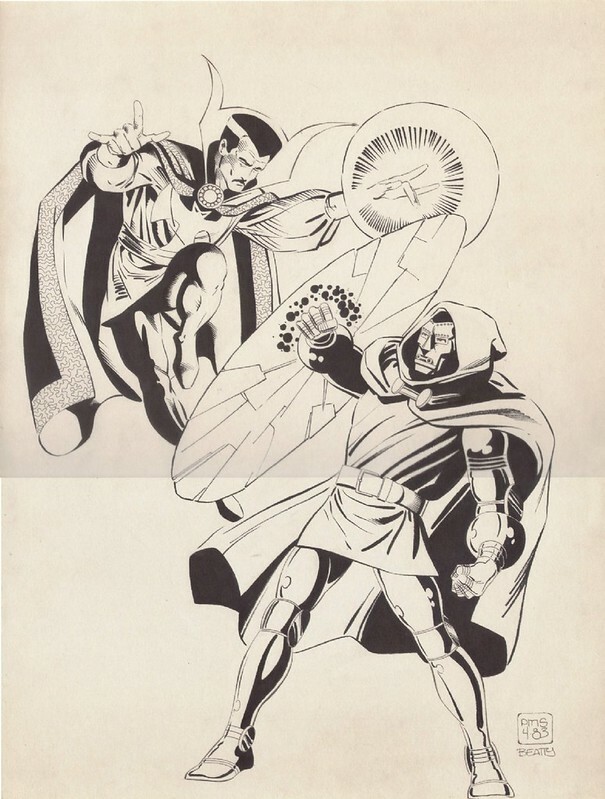 Vintage Paul Smith commission, circa 1983, featuring Doctor Strange fighting Doctor Doom, Ditko-style. Who wouldn't want to own this piece? Nuff Said!